February 26, 2011: The U.S. Government Accountability Office (GAO) estimates that around 600 kilometers (375 miles) of the U.S.-Mexico border is insufficiently monitored (ie, not adequately protected) in order to stop drug smuggling and human trafficking. That is about 19 percent of the length of the entire border. 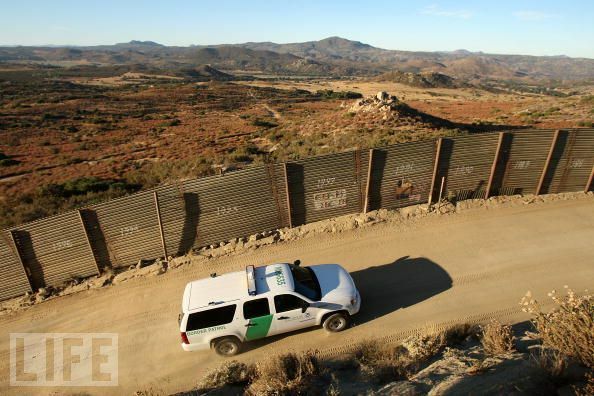 The GAO estimates that the U.S. Border Patrol has what it calls operational control sufficient to stop smuggling activities along about 45 percent of the some 3,200 kilometer (2,000 mile) long border. February 25, 2011: Mexican national police killed a senior member of the Juarez drug cartel (Luis Humberto Peralta Hernandez, alias "El Condor") in a gun battle in Chihuahua City (Chihuahua state). Peralta Hernandez was implicated in the murders of 96 people. The bodyguards protecting the mayor of the town of Garcia (near Monterrey) killed three cartel gang members who tried to assassinate the mayor. The gunmen chased the mayor's SUV, but the bodyguards fired back accurately at the gunmen's vehicles. U.S. Drug Enforcement Agency (DEA) officers and local policemen arrested scores of individuals throughout the U.S. suspected of working with Mexican drug gangs. The arrests were part of a nation-wide assault on drug gangs, following the murder of an American federal agent in Mexico on February 15. The DEA arrested several members of the Bandidos motorcycle gang in Texas, The Bandidos are involved with drug smuggling by Mexican drug cartels, and have a reputation in Texas going back many decades. In the last five or six years the gang has allegedly gotten involved in distribution of illegal drugs in Texas and U.S. states bordering Texas. February 22, 2011: Mexican marines took control of a ranch in Guerrero state (near the Michoacan state border) that is used by drug gangs as a combat training camp. The marines found explosives, 14 rifles, ammunition, and grenades. Federal police and Mexican Army troops have raided a number of camps along the Guerrero-Michoacan border, a region that is rugged and isolated, which makes it ideal territory for base camps. February 15, 2011: Gunmen believed to be associated with Los Zetas cartel fired on a vehicle carrying U.S. security agents (with U.S. Immigration and Customs Enforcement, ICE) as it was traveling north of Mexico City. One U.S. agent was slain and another wounded. Apparently 10 to 15 cartel gunmen participated in the attack. State and national police confronted demonstrating teachers in the town of Oaxaca. Some 20 protesters were hurt in the subsequent clash. The government is concerned that the new demonstrations could lead to another prolonged stand-off in Oaxaca. For most of 2006 the city was occupied by left-leaning demonstrators. February 11, 2011: Despite an earlier retraction by a U.S. government official, the U.S. Secretary of State expressed the belief that Mexico's Cartel War is morphing into an insurgency. Mexico once again reacted to the U.S. claim and denied it. February 10, 2011: The government vigorously disagreed with claims made by U.S. government officials that the Cartel War was an insurgency. U.S. officials have backtracked since they made the claim. That diplomatic retreat noted that the tactics used by the cartels are very similar to that of political rebels. It's not a new insight. The tactical difference between violent crime and war (based on political, tribal, or religious aims) is often negligible. Criminals, however, are in it for the money. Where the Mexican government is right, however, is in the overall strategic aim. Political insurgents want to replace the government. The cartel types (so far) just want to co-opt the government. Corruption is the cartels' game, or if not corruption, accommodation. Do they use terror and guerrilla tactics? Yes. FYI---- EL CONDOR WAS THE HEAD OF THE "LINEA" THE ARMED WING OF "CARTEL DE JUAREZ".